Bogs, marshes, swales, sedgy meadows, moist sandy (even marly) shores, conifer swamps and alder thickets. 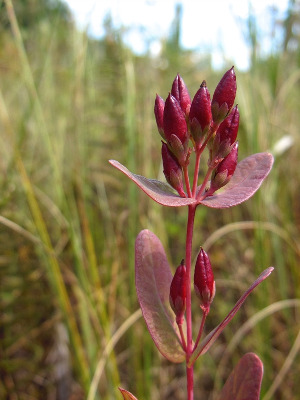 The flowers are usually closed, especially in sunshine, appearing to be perpetually in bud, but are occasionally seen open. MICHIGAN FLORA ONLINE. A. A. Reznicek, E. G. Voss, & B. S. Walters. February 2011. University of Michigan. Web. 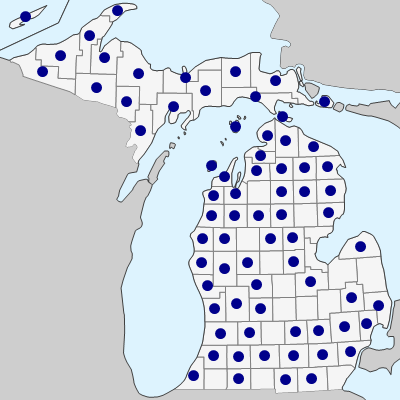 April 22, 2019. https://michiganflora.net/species.aspx?id=1469.